To guarantee perfect perception of the illuminated area, Iride provides the use of three different color temperatures: 3.800K, 4.300K, 5.000K. The design of Iride takes into account the aesthetic components without compromising on ergonomics, ease of use and cleaning. 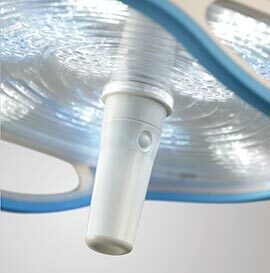 The high quality of plastic materials provides strength and resistance to the most common cleaners and hygiene over time, responding to the high standards required by the medical industry. 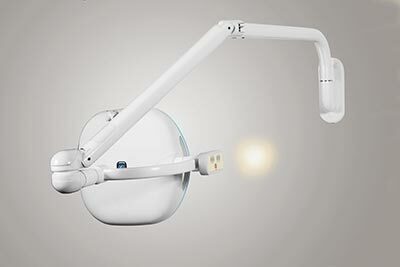 All of these elements make Iride a lamp suitable for the most demanding user. 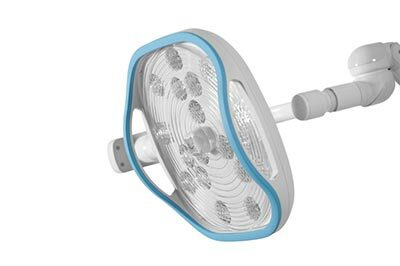 The effective optical efficiency of the Iride lamp is based on an innovative lens system with 18 LED sources that ensures a beam of light with wide scialytic effect that is shadow-free. The light beam emitted by Iride is white and natural. For perfect perception of the illuminated area in every situation, the color temperature is adjustable and customisable with three different settings: 3.800K, 4.300K, 5.000K. 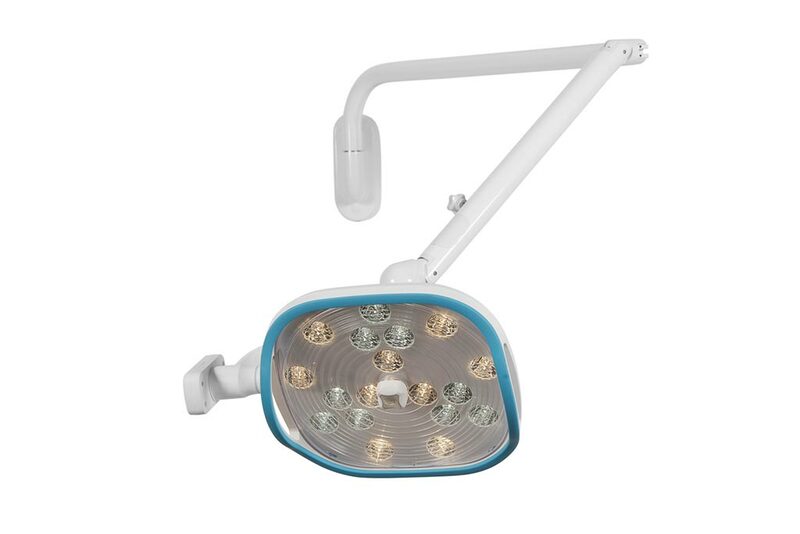 A CRI factor (Color Rendering Index) of 90 points and maximum brightness of 60,000 lx finally are the guarantee of a lamp that doesnÕt strain the eyes. The innovative lens system with 18 LED sources allows the configuration of two different light spots of 18 and 30 cm in diameter. The high quality plastics used for Iride are resistant to temperatures higher than those of normal use. Their chemical composition ensures an inert behavior compared to the most common detergents. 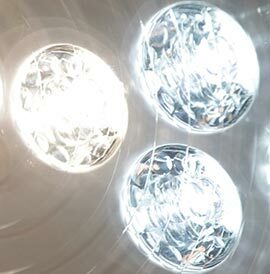 LED technology is synonymous with absence of heat and quietness. Dynamic cooling (fan) of the light source is in fact no longer necessary. 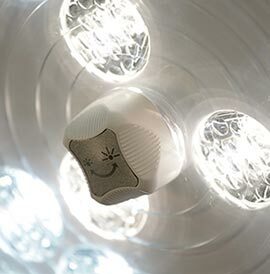 Iride consumes up to 10 times less than a conventional lamp. The guaranteed life can exceed 50,000 hours. Iride, designed with uncompromising attention to ergonomics and ease of use, is a lightweight accurate lamp, suitable for the most demanding user. 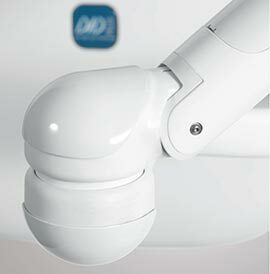 Design also means working with a product close to everybodyÕs needs and suitable with its own lifestyle. 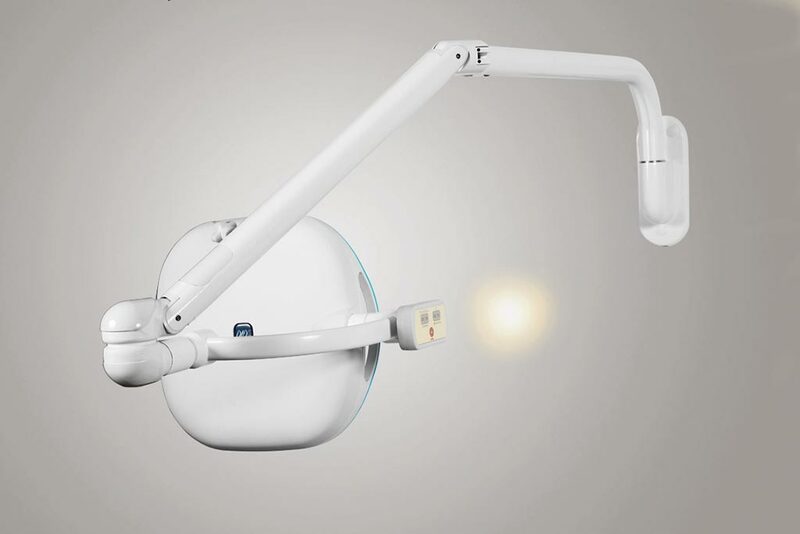 Therefore Iride was created with two different spots, the option of adjustment of the color temperature, the possibility of ceiling or dental unit installation and finally a wide range of colors RAL(1). DID Plus, a brand of Calzavara S.p.A.